This past week Supply Post paid a visit to Vancouver Island to drop in and say hi to some of our past and present clients. Jake spent two days travelling up the island and new sales rep Megan joined in, for the first full day, visiting some clients as well. Day 1 was a foggy drive to the first appointment to meet up with PM Industries, then it was off to see P & R Truck Centre, Thomcat Equipment & Leasing. Afterwards, Jake & Megan stopped in to see Island Tractor’s new location at 4650 Trans Canada Highway in Duncan followed up by Pro-Fab, Nanaimo Mack and Berk’s Inter Trucks. 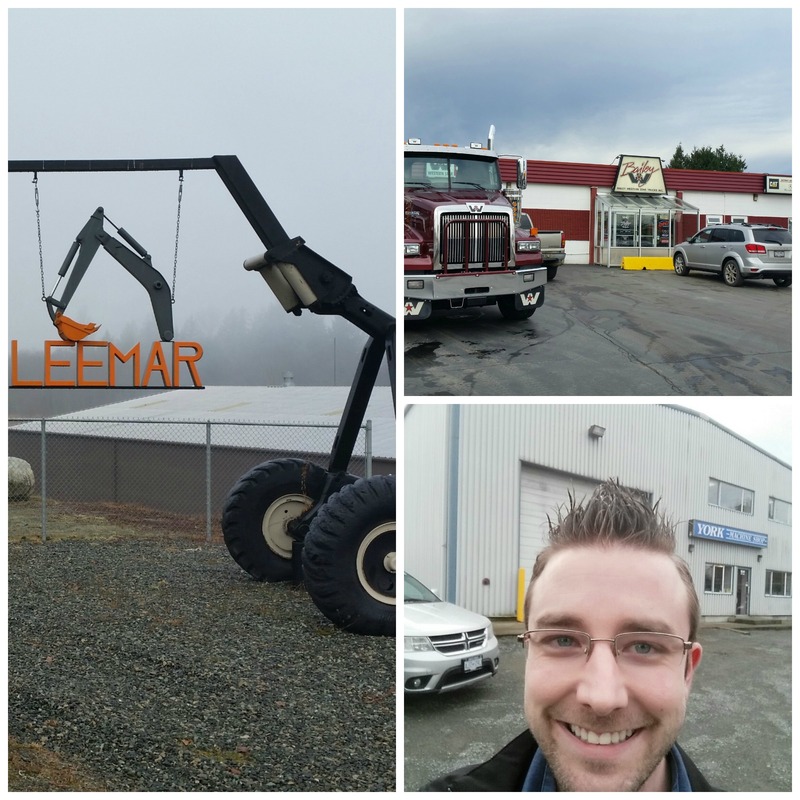 Day 2 brought Jake over to Leemar in Parksville and then up to Campbell River to see T-Mar, toured Backyard Bandsaws, stopped by York Portable Machines (thanks York for liking Supply Post on Facebook!) and then visited with Bailey’s Western Star. 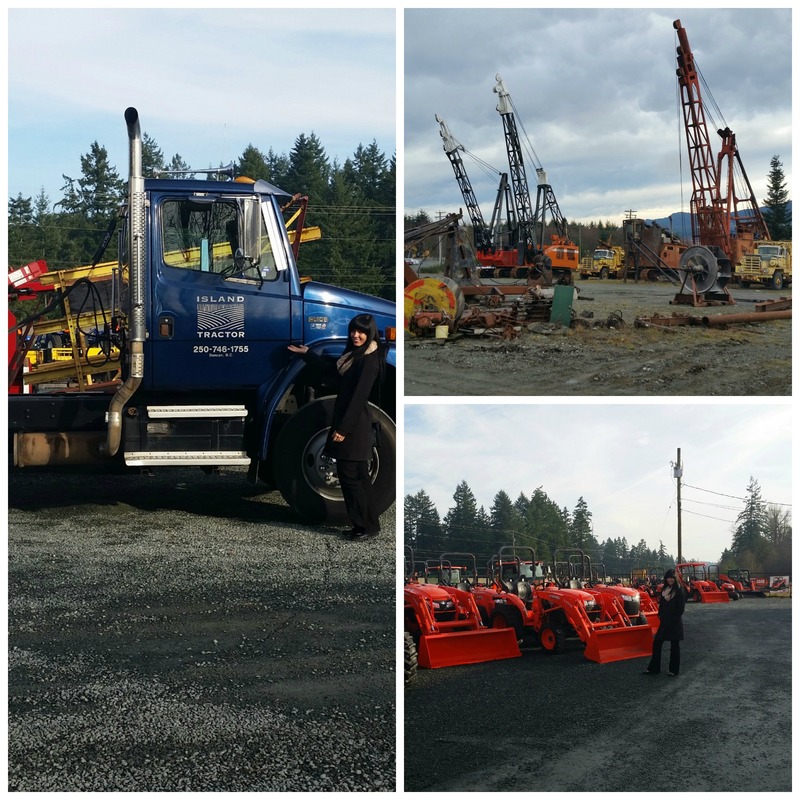 Pictures included in the collage are from: York Portable Machines, T-Mar, Island Tractor, Bailey’s Western Star & Leemar.